Hello and good morning Golden Hawks! Hopefully you’ve had a fantastic week and no issues easing into those dreaded midterms. This week O$AP and Goldilocks had lots to talk about as it’s been a hectic week in world events as well as within the Laurier community. The show started with a segment regarding the Miss Universe Pageant and this year’s winner, Iris Mittenaere from France! The returning host, Steve Harvey, had the chance to redeem himself successfully after announcing the wrong contestant as the winner in last years pageant. If you’re interested in reading more about the pageant, click here! Next on the celebrity list is Justin Bieber, who made an appearance at this years NHL All-Stars competition. Apparently his coach for the big game was hockey idol Wayne Gretzky. O$AP and Goldilocks had to debate who would have been more excited to meet the other. The conclussion was definitely Bieber being more excited, even though it’s probably safe to assume Gretzky is a big pop fan! And last on our celebrity list this week is Lady Gaga who will be performing at this year’s Superbowl, where the Patriots will face the Falcons. Though she’s quite the performer, it wasn’t clear whether or not your Morning After DJ’s agreed with her being this years pick for the biggest football game of the year. 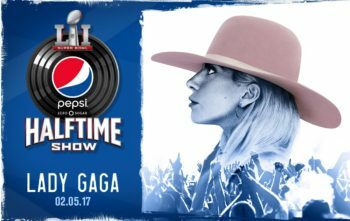 Hopefully she can keep up with the legendary entertainment of the Superbowl commercials and get the crowd even more pumped for the game. 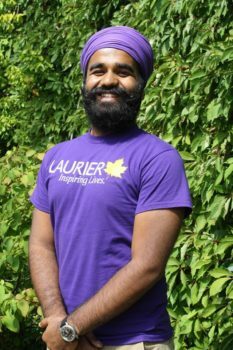 In this weeks Laurier news, we send a well-deserved congratulations to the new Student Union President Kanwar Brar! Such a motivational and involved new president will surely show that the Golden Hawks are in good hands. Also coming this week is the voting for positions in the Laurier student publications. Between 7-10 PM this Wednesday February 1st, come enjoy some free food and good company in the Hawk’s nest right beside the Turret. Get involved and send out your votes! To read up on the candidates and other information regarding WLUSP, click here! Lastly, Laurier sends it’s condolences to the victims of the Quebec mosque shootings on Sunday. To anyone involved and connected with the family’s affected we send our thoughts and prayers. Have a lovely week Hawks! We’ll see you next Monday on the Morning After!